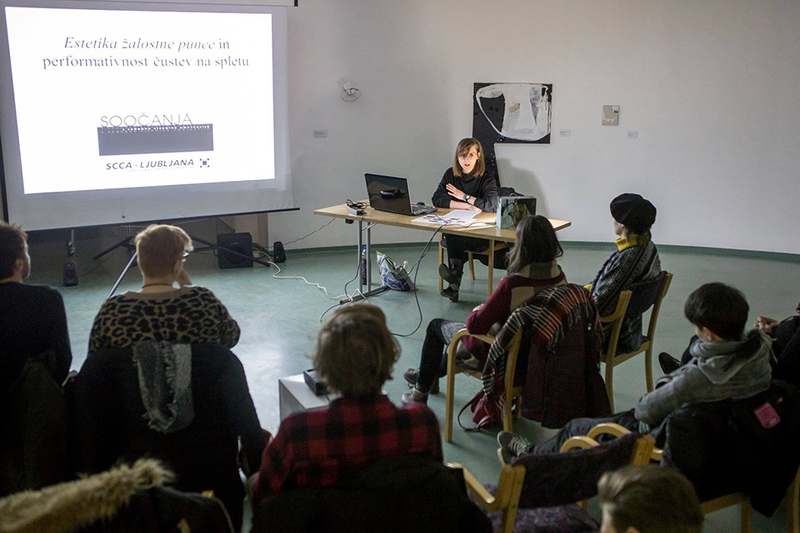 The series of three lectures in frame of Encounters with Contemporary Visual Art are the outcome of collaboration between SCCA-Ljubljana and Kulturni dom Nova Gorica. In 2018 coworkers of SCCA-Ljubljan will prepare one lecture in January (Peter Cerovšek), February (Lara Plavčak) and March (Barbara Borčić). You are kindly welcome to join us on Tuesday, 27 February at the lecture by art historian, curator and former World of Art coworker Lara Plavčak, which will focus on the contemporary phenomenon of sad girl aesthetics. 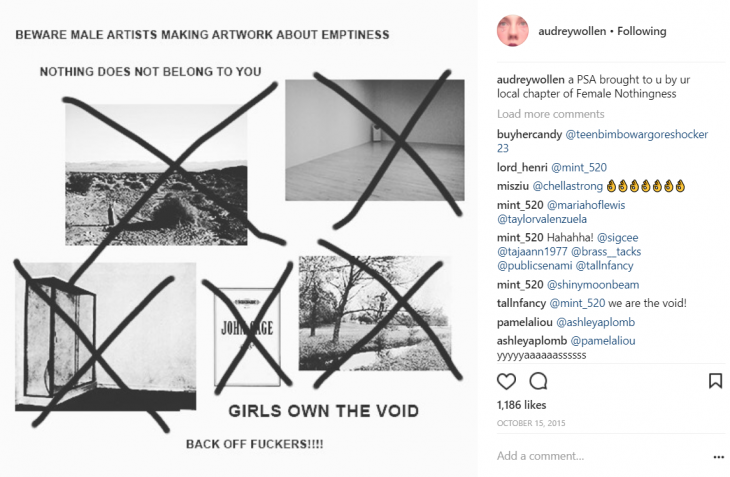 The sad girl aesthetics phenomenon is especially present on the internet and social networks, where it is characterized by the expression of anxieties, sharing of intimate stories and everyday anecdotes, melancholic images, from artworks to selfies. It is characterized by humorous approaches and specific aesthetics, which nostalgically takes on the recognizable girlish iconography of a teenage princess. Through stereotypes and intimate confessions, this creates a new expression that forces the protagonists from their assumed bedroom culture into the virtual public sphere, whereby undesired and, in principle, hidden emotions are not an irrational physical reaction, but a legitimate and informed response. Lara Plavčak graduated in art history and cultural studies. In 2011 she finished the World of Art, School for Curatorial Practices and Critical Writing, which operates as part of the Center for Contemporary Arts SCCA–Ljubljana. Between 2013 and 2014 she co-curated the Series of Young Artists at Kino Šiška, in 2016 she curated the Solo Exhibition Series at Kino Šiška. 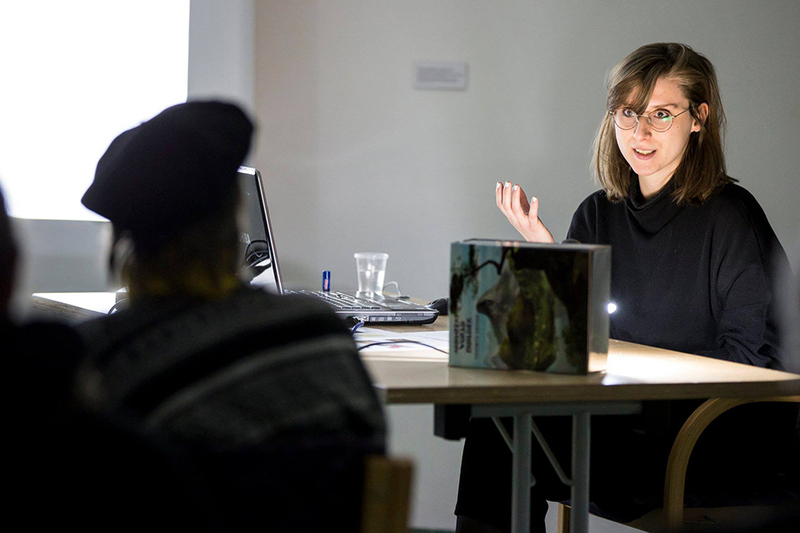 She curated exhibitions at Plevnik-Kronkowska Gallery in Celje (2010/11), at Kibela, MMC Kibla in Maribor (2014) and at Savin’s Art Salon in Žalec (2014). Her articles were published in Kinotečnik, Dialogi, Art Words Magazine, Pogledi, Tribuna, AirBeletrina and Fotografija magazine. Between 2015 and 2016 she worked with KRAKEN, society for promotion of short film and short film festival in Ljubljana FeKK. She is active within the project-exhibition space and commercial gallery DobraVaga as the founder and head of ZINE VITRINE programme of zine exhibitions, workshops, library and archive. 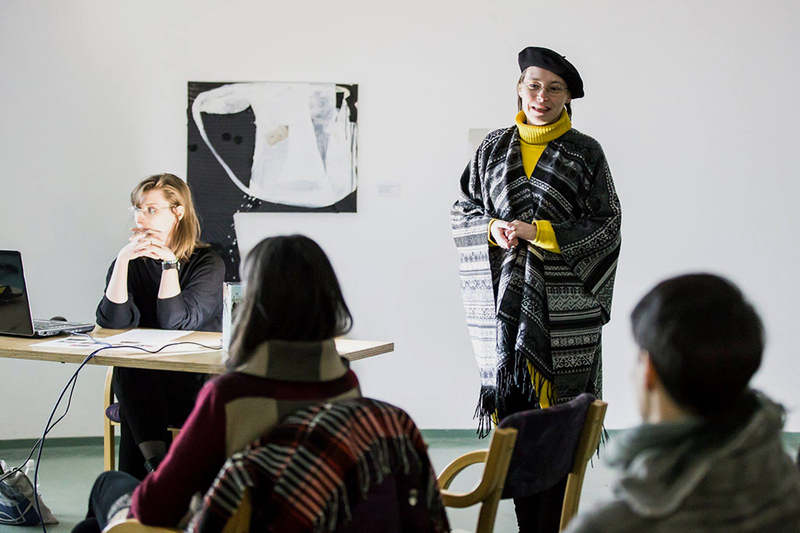 In the period of 2016–2018 she was a coordinator of the the World of Art School (SCCA-Ljubljana), since February 2018 she works as visual, audiovisual and intermedia arts programme manager and DobraVaga gallery manager at Kino Šiška-Centre for Urban Culture. SCCA–Ljubljana is supported by Ljubljana City Municipality, Department for Culture.